Jordan is a land of mesmerizing beauty and contrasts. Yesterday we ventured to the northwestern part of the country to the region known as Gilead — a beautiful mountainous area situated to the east of the Jordan River. Gilead figures prominently in Old Testament history. Among other things, it was the place where King David fled during Absalom’s rebellion and also the birthplace of the prophet Elijah. The Bible also mentions a particular balm of Gilead, an ointment made from the resin of a tree and widely used for medicine, perfume, and as a body ointment. The balm of Gilead first appears in Genesis 37 in the dramatic story of Joseph and his coat of many colors. Joseph’s jealous brothers sold him into slavery to Ishmaelite traders en route from Gilead to Egypt. These traders were carrying “gum, balm, and myrrh” (Gen. 37:25). Joseph later rose to prominence in Egypt, becoming the second-most powerful man in the country. When famine struck the entire region, Joseph’s brothers traveled to Egypt to buy grain — unknowingly from the brother they had sold into slavery. When Joseph’s brothers returned to Egypt to buy grain, their father Jacob encouraged them to take, among other things, “a little balm” (Gen. 43:11) as a gift for the man in charge of the storehouses of grain, their own brother. The balm was likely from Gilead. I think it was brilliant of Jacob to tell his sons to take with them “a little balm.” We would all be wise to do the same every time we leave home. 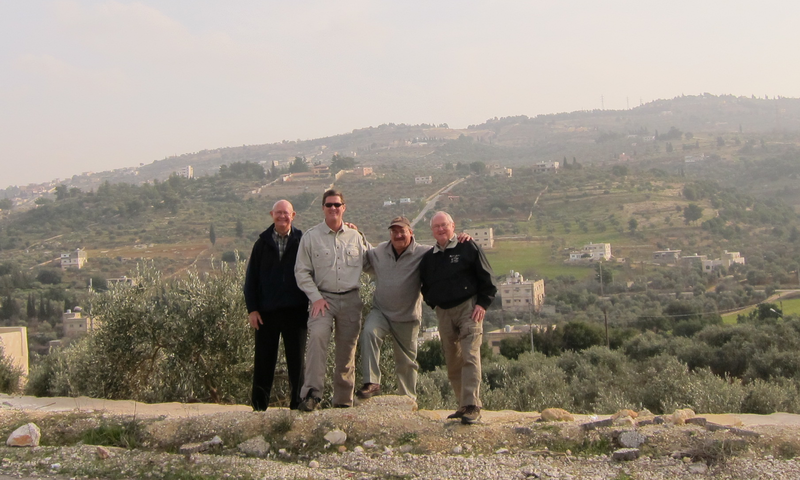 I could not help but think about the balm of Gilead as we visited families in this region of Jordan. We visited one family that received a couple of goats from our friends at Global Hope Network. They now have several goats and a means of supporting themselves. 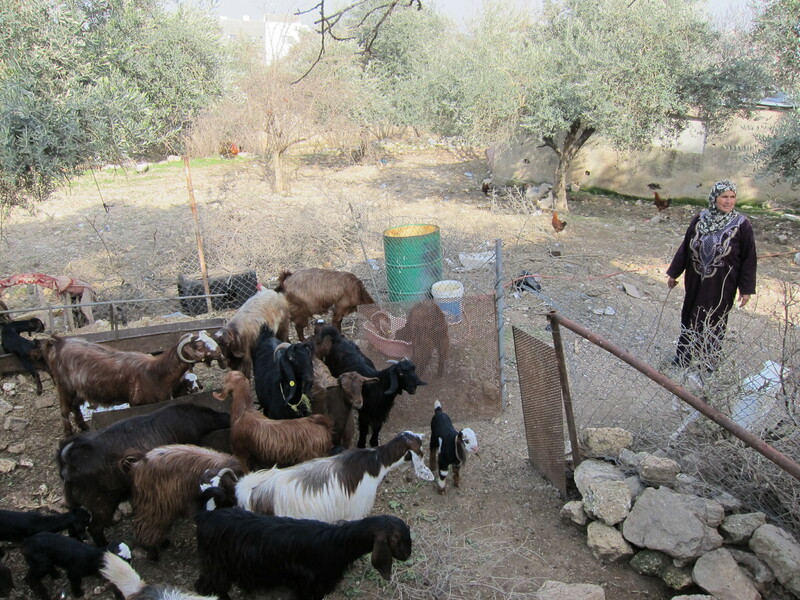 When they were in desperate need, they received more than goats from Global Hope. They also received “a little balm” that soothed their anxious thoughts and emotions and gave them a brighter outlook. Two goats have become many to help a family in need. We also visited a woman who had suffered a stroke but was determined to continue providing for her family. She did not have the luxury of allowing a stroke to slow her down. This sweet mother of three needed a micro-loan to start a little business. We were so impressed with her and all she has done to prepare to start her business that we felt it worth the risk to invest in her. 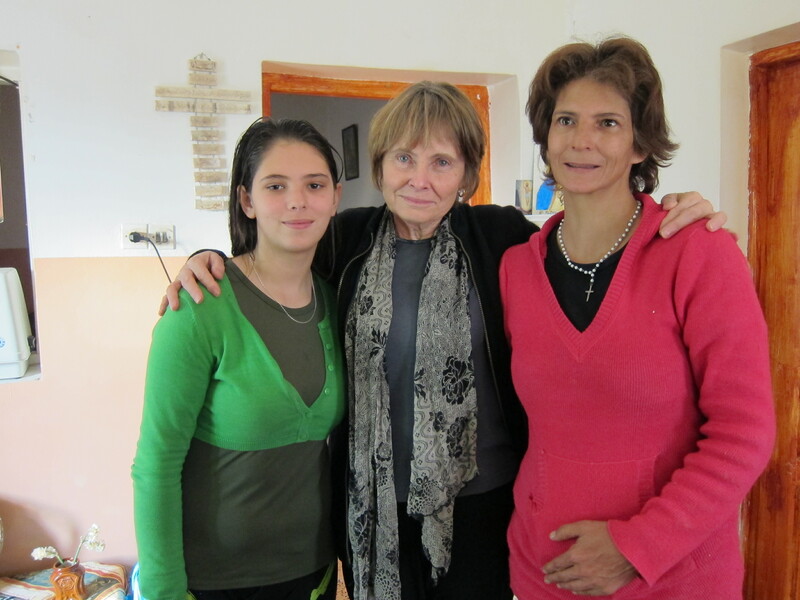 Our willingness to visit her and listen to her story and invest in her was like a healing balm. Mom and daughter with our new friend Pat (center) from New Zealand. Every day you and I encounter people whose hearts are bruised, whose emotions are raw, whose shoulders ache under a load of care, and whose steps are faltering from exhaustion. Those are the times we need to offer a little balm. As Christ-followers we must be prepared to offer a prayer, to shed some tears, to listen to a story, to help carry a burden, and to walk beside weary travelers — all essential ingredients in making balm. So, when you get up in the morning and get all of your stuff together for the day, remember the balm of Gilead. Carry it with you and dispense it generously.